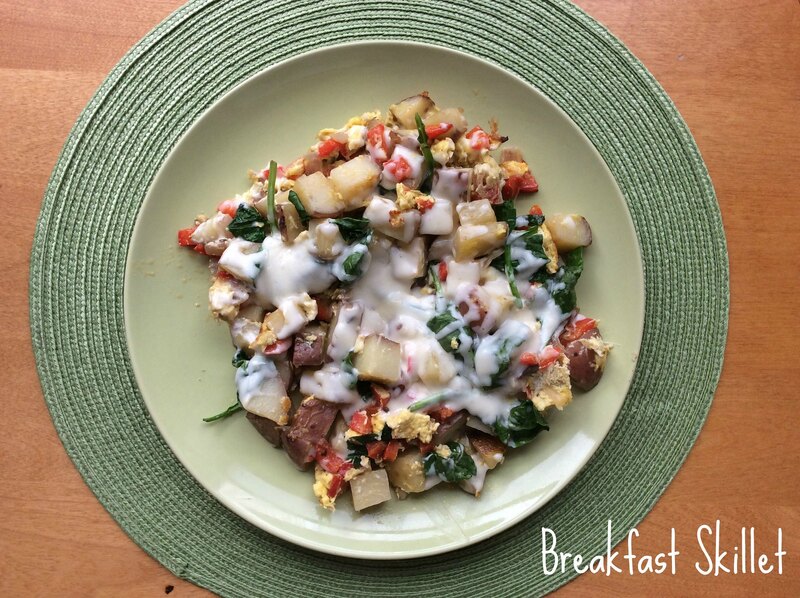 Denny’s makes this amazing breakfast skillet full of vegetables, eggs and potatoes and I love it! The problem is that it’s so far away from me and costs money [something of which I am in short supply]. So I made my own version 🙂 !